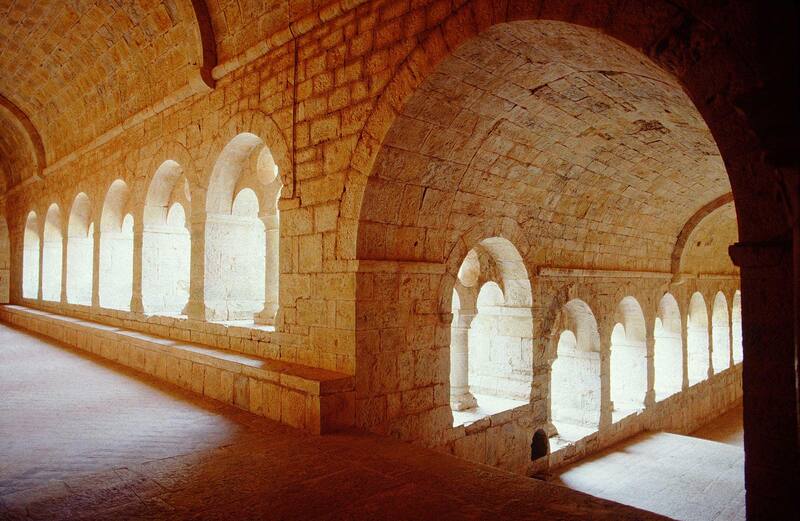 Thoronet Abbey is a real gem tucked away in the heart of the Mediterranean forest. 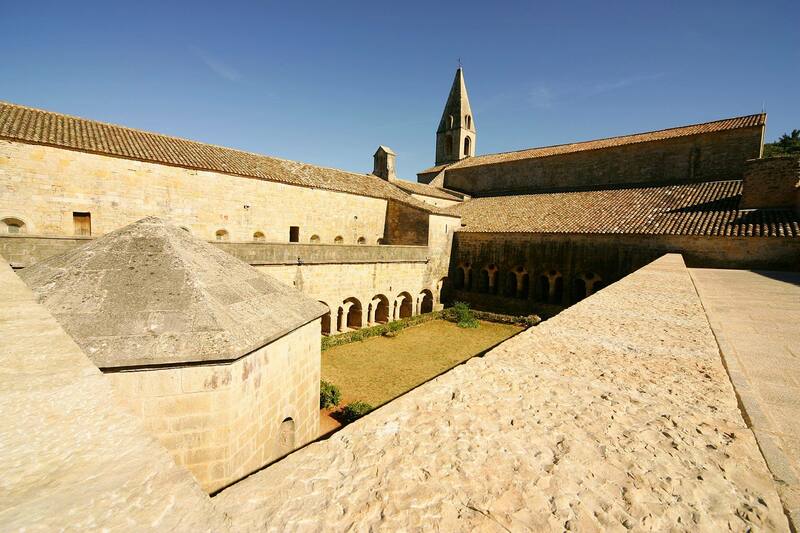 Classed as a ‘Historic Monument’, it is one of three Cistercian abbeys in Provence, alongside Silvacane and Sénaque. Largely built between 1160 and 1190, Thoronet Abbey creates an impression of unity and great serenity. The church, the monks’ quarters and the cloister are all made of dry cut stone (no mortar), following ancient and austere building techniques, expressing the very essence of Cistercian life: poverty, purity and simplicity. Stone and light perfectly work together and emotion emerges from the stark austerity of the architecture. For centuries, the stones here have carried the songs of the monks, and today, tour guides continue the tradition. 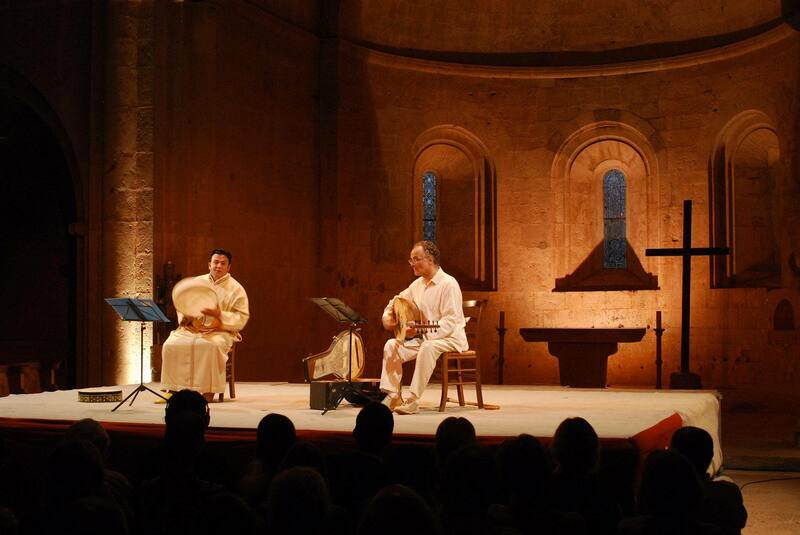 The church of Thoronet Abbey is one of France’s centres for Gregorian chants. It is said that, along with the Taj-Mahal, it has the longest reverberation time in the world. These almost ‘magical’ acoustics are largely due to the church’s proportions, calculated according to the ‘Golden Number’ – a ‘Divine Proportion’ later used by several painters and architects in the 20th century, including Mondrian, Dali and Le Corbusier.